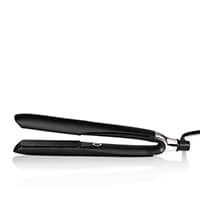 Choose from the ghd hair flat iron range to complete your kit of styling essentials. From waves and curls, to flicks and poker-straight hair, create a look that's stylish, effortless and professional with our ghd flat irons. The range of ghd flat irons will help you to create a multitude of hairstyles, producing shape and movement in each styling session. 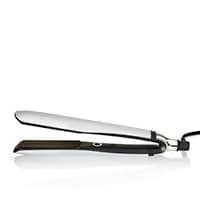 Has stood the test of time and is a leader in the hair range. 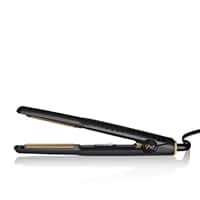 I got my ghd platinum+ flat iron as a gift and I have used this product for more than a month now and it is amazing! I had used CHI flat irons in the past and the CHI doesn’t work as smooth and the after results are not the same. 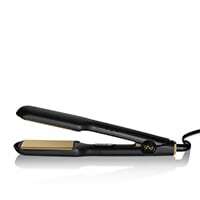 the ghd is light, very easy to manage and after I flat iron my hair, my hair looks shiny and healthy. I received a lot of compliments about my hair. I’m very happy. Thank you ghd! With my previous flat irons, I ALWAYS used the highest heat setting. Even though I am told not to. I never tried the proper heat degree for my thin, porous, bleached white hair. I was sure a lower temperature could never get the job done. But I bought this ghd platinum white styler flat iron after reachering extensively and it’s GOOD! EXCELLENT even! The proper heat setting -which is the only heat setting- works exactly as well on my hair as the higher settings I used to use. Except that now my ... read more hair is healthier, yippee! My hair is quickly styled with NO frizz. (I live in Houston which is sooo humid). My hair is shiny and gloriously soft.